I have two teenagers spending most of their time before their computers. I had no clue what they were doing there! Thanks to your child monitor, I feel I am back in control now without them even knowing. Summary: With good keylogger software, you can monitor the activities of your children, your teenagers when they are on the computer. 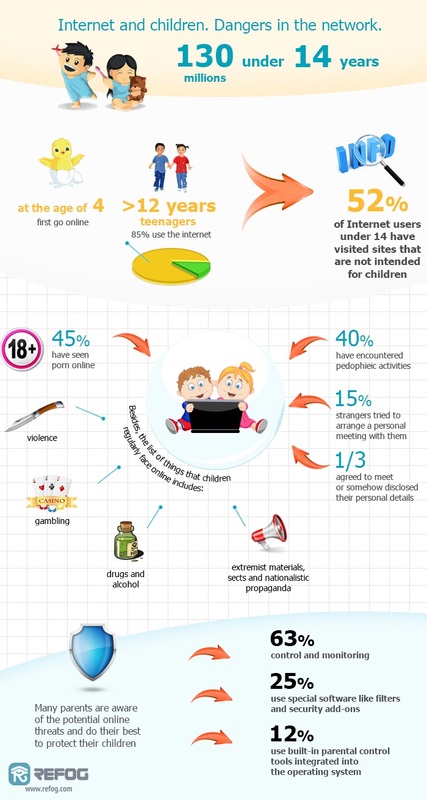 The Internet and computer have become central to family’s entertainment all over the world. However, too many families have found out the hard way that unmonitored and unchecked use of the computer can have devastating consequences. That’s why keylogger software is such an important tool to have in the home, but the choice of such a program should not be taken lightly. When children are allowed to use the family computer without proper monitoring, they can sometimes find themselves in trouble they are not prepared to handle. For example, they can use chat rooms and instant messaging to talk to friends their own age but might also inadvertently attract the attention of older individuals with less pure intentions. Young girls and boys are lured away from home each week by these online predators. Without proper monitoring, such inappropriate relationships can go on unnoticed by parents. Teenagers can also get themselves into trouble through social networking sites by talking to people they shouldn’t and by posting inappropriate photos of themselves online. Not only can such actions put them in danger but they can also come back to haunt them when they start searching for a job or a college. But children are not the only ones at risk and in need of the protection from keylogger software. Monitoring the computer may not be able to prevent these activities but they can alert you to problems before they get too far out of control. One of the best keylogger software options on the market is REFOG Keylogger. The program works on any Windows computer and can run invisibly so users won’t know the program has been installed which also means they won’t attempt to tamper with the program in order to hide their activities. Once installed, REFOG Keylogger starts recording all of the keystrokes made by users, logging web history, tracking applications used, and even taking periodic screenshots of what is being done on the computer to give you visual evidence. All of this information is stored in a separate log for different users which means you’ll easily be able to tell who is doing what and when on your family computer. The password protection feature is also a nice extra. In the event that someone in your family would find out that they are being monitored by keylogger software, the password protection you set will prevent them from being able to adjust the settings, erase the logs, or remove the program from the computer. Plus, the software is updated automatically so you don’t have to do a thing. With this type of keylogger software, you’ll be able to have some peace of mind when your family is using the computer.